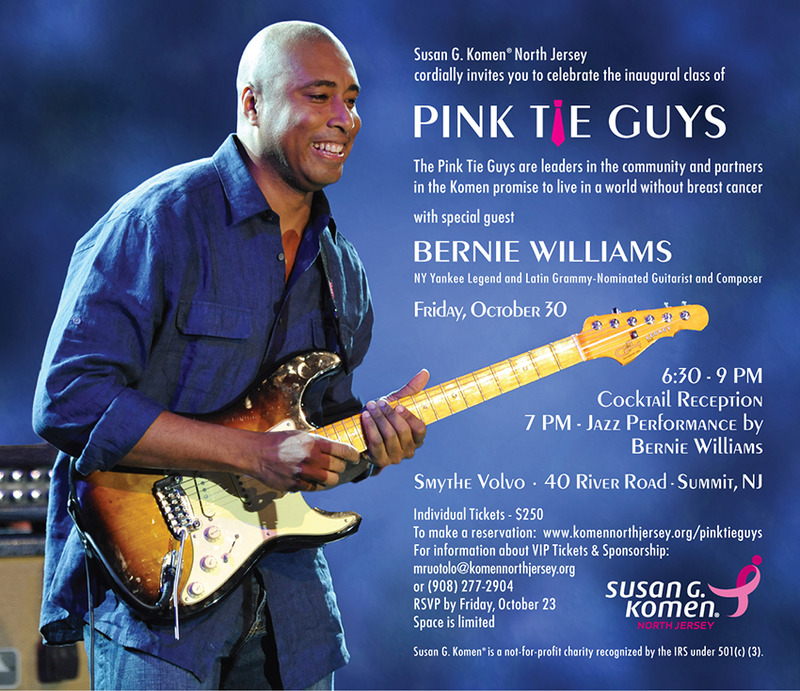 Join Komen North Jersey in celebration of the inaugural class of Pink Tie Guys at a Cocktail Reception with a Jazz Performance by Bernie Williams. The Pink Tie Guys are influential leaders who help mobilize, energize and engage audiences in the breast cancer movement through their role within the community, within their organizations, and through their personal involvement. The Pink Tie Guys are leaders who attest to the powerful fact that breast cancer is a disease that knows no boundaries (1 in 8 women have a chance of developing breast cancer) and who bring a male voice to the urgency of finding the cure(s). The Pink Tie Guys are partners in the Komen promise to live in a world without breast cancer.